A recent study estimated that half of Game of Thrones's main characters have been killed off over the past seven seasons, which makes it very likely that one of your favorites was among them. Though fans have come to expect death as one of the hallmarks of the epic HBO series, it doesn't make it any easier when it happens. Viewers have invested enough time and emotion into the show that some have even started petitions against killing off certain characters—or bringing them back from the dead. And it seems that not even Parris McBride, George R.R. Martin's wife, is immune to petitioning (read: threatening) her husband when it comes to advocating for which characters she wants to see still standing when the series concludes. While it seems as if no character is safe from Martin's bloodlust—never mind that of showrunners David Benioff and D.B. Weiss, who have strayed quite a bit from the books in terms of who is alive and who is not—we do know that Sansa and Arya Stark, Sophie Turner and Maisie Williams's characters, have a champion in McBride. So much so that she has threatened to leave the author if he harms a hair on either one of the Stark sisters's heads. 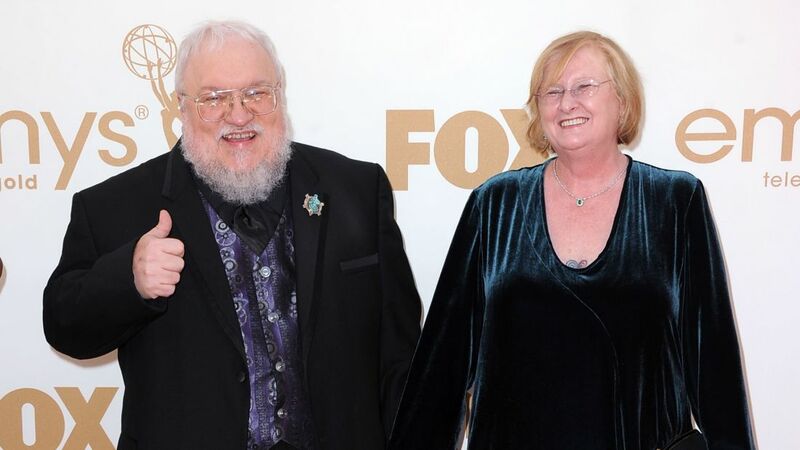 "[George's] wife did actually say that if he ever kills off Arya or Sansa, she's going to leave him," Williams revealed in 2015. "I'll just keep smiling, and say 'If you want to stay with your wife, you've got to keep me alive!'" Martin himself even joked about this at a panel in Mexico in 2016. "She does have a favorite character, and she has threatened to leave me if kill that character," Martin said with a laugh, "so I do have to be very careful about that." But he declined to say specifically who that singular character is (though we'd fully believe it's Arya). Of course, there seems to be a fan theory to predict both the death or survival of just about every character, as well as a recent study conducted by two injury epidemiologists at Sydney's Macquarie University, who concluded that Sansa and Arya have the best chance of survival. Perhaps the Stark girls really do have a higher power looking out for them!